Flowers as described. Lovely gift for friends celebrating their ruby wedding anniversary. 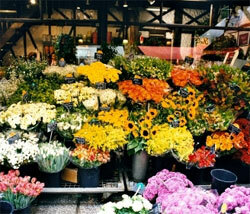 The flowers were very beautiful and colourful. A nice surprise for my Mum. Thank you very good service. Would definitely use again. 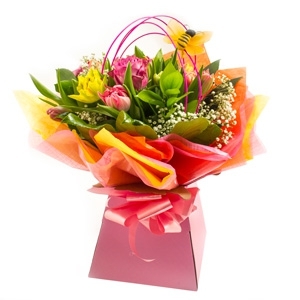 The recipients sent a photo of your delivery and they looked lovely and they were very happy with them. I will have no problem in using Brunas again..
Great service, flowers exactly as pictured and delivered quickly. Thank you! Fantastic Service. Flowers were beautiful. Will use again. Still showing on my confirmation email that the flowers were not delivered and just saying 'In Progress'....had to contact my sister to see if she received fhem, hence spoiling the surprise. Very disappointed. Brilliant service ordered and delivered the same day! Efficient service and lovely flowers! Flower delivery as said flowers beautiful my mother had tears in her eyes on the photo happy ones. Please send thanks to the florist. Brunas Florist Puerto del Carmen. Please send this message to the florist. Mucho Gracias tan Feliz las flores son bonito. Mi Padres 60 anos casado. Sorpresa Perfecto. 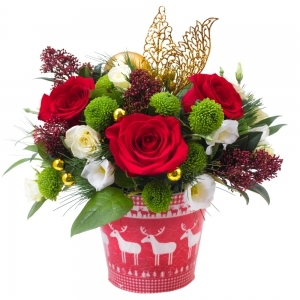 Great service and so easy to order flowers online....I ordered flowers from Ireland to my Mum in Lanzarote and everything was perfect...She was delighted with them!!! A fantastic service. 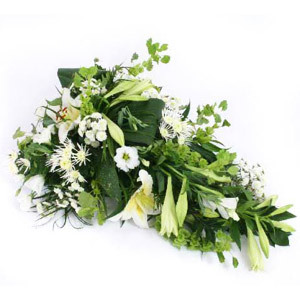 The florist contacted me prior to the delivery to check all the details were correct. Even though the florist was in Puerto del Carmen and my delivery was for Playa Blanca they were delivered by 9am ! My Mum was thrilled with her flowers and from her photograph were just as described. I would certainly recommend this florist and service to anyone. Fantastic service, flowers were lovely and arrived on the time I specified. Thank you! Quick Delivery to my sister in Puerto Del Carmen, and a lovely bouquet, as she sent a picture to Thank us when recieved, which I expected, after paying what I paid for it, so very happy with florists service and will use again. Recommended. First class service. Booked flowers from the UK for mums birthday and they arrived on time and were top quality. I would recommend as Interflora do not cover Lanzarote. Thanks. Perfect flowers and delivered nice and early. Would highly recommend . Beautiful bouquet - delivered within 4 hours of being ordered - superb!!! Extremely helpful and professional. Kept in contact via email. The flowers were beautiful and my friend has now got them in her house after her husbands funeral. Excellent service and arrived same day! She loved them so thanks! Communication good but they seem to have not tried phone numbers I gave them, resulting in day late delivery. Bruna did everything she could to ensure the flowers were delivered, including phoning overseas to gain more information. The flowers were gorgeous when they arrived and I could not have asked for a better service. Florist really cared about making my daughters birthday special as she was away from home.Daughter said how lovely the flowers,balloons &amp; chocolates were.Thankyou! The bouquet of flowers looked great, my girlfriend loved them! The flowers were to be delivered in the morning and they did not arrive until 3pm, very disappointing as I had asked my father to keep my mother at home until they arrived. It upset their schedule for the day. Also, I didn't receive confirmation of their delivery. My girlfriend loves the flowers! I was disappointed that the flowers were not delivered in the morning as requested and I had to ring up to enquire were they were, they were then delivered at 6pm.Also I requested the bouquet specifically as sunflowers were used on our wedding day and they were exchanged for gerberas. This was due to the flowers not opening which I understand however the price I paid should have guaranteed that.